English Russian English Dictionary (iPhone) - A good dictionary is an essential tool for anyone learning a foreign language. 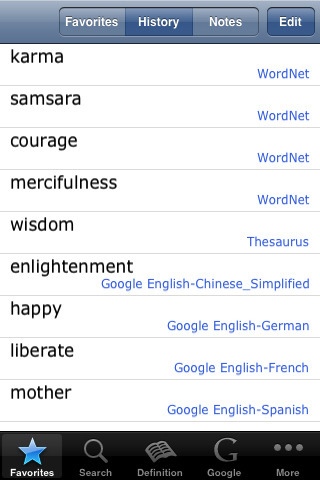 English Russian English Dictionary is a comprehensive and innovative Dictionary for iPhone/iPod touch with clear design, friendly interface, simple search functionality and speaking module for English keywords make learning foreign language easier than ever. 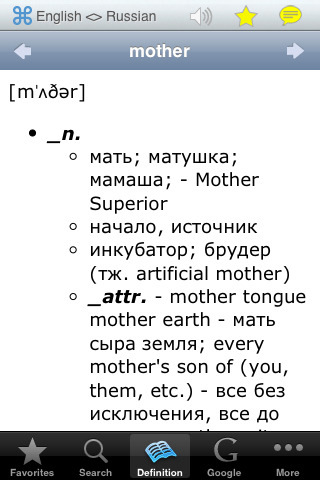 The first English Russian dictionary includes testing module for GRE, SAT, TOEFL. · Russian to English dictionary with 32,541 entries. · Ability lookup content of any word just by one tap. · VOA Special English modules added for improving listening & reading skill. 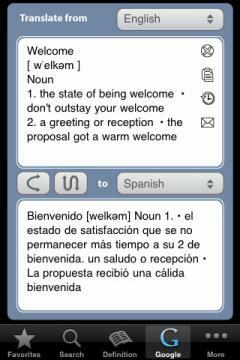 Lexisgoo English Dictionary - Winner of Best Dictionary in the 2008 Awards - 40% OFF TODAY!